I was taught to cook by my mum and my nana, with my dad also showing me his spin on Chilli Con Carne (which I have since improved and turned into ‘Georga’s Meat Mungous Chilli™’) and have always had a love of food; the colours, flavours and smells – what works together, what makes me squeal with pure unadulterated pleasure. You get the gist. Throwing things together and creating a culinary masterpiece is one of my favourite pastimes, and a passion I’m lucky enough to pass onto my 3 year old daughter, who also has a hearty appetite and a love of all things edible. She chooses to watch Jamie Oliver or Rick Stein over Postman Pat for goodness sake. I started working at a friend’s restaurant, Indian Summer, nearly 10 years ago and this took my passion for dining to another level. Service is absolutely fundamental to the eating experience; if a customer is given great food but shabby service, the night isn’t a good one. If you have friendly and knowledgeable staff, offering tips and recommendations, and more importantly ENJOYING THEIR WORK! It makes all the difference to your evening. My other passion in life is to read, and to write. I find the English language a simply beautiful thing. I used to write a novel a month at the age of 12, luckily none of these masterpieces survived the Blitz, but if they had, they would be a bloody good read. 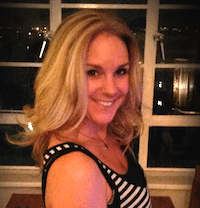 I offer copy editing, writing and proof reading services through ‘Let Me Do That For You’, and am one of the few people living in Brighton today that is a real live local. I’ve travelled far and wide but am proud to say that this amazing and culturally diverse city is my home. Which is your favourite restaurant in Brighton, Hove or Sussex and why? 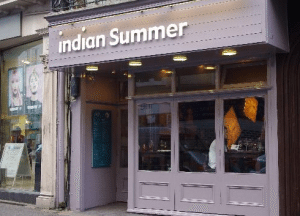 This changes regularly, but I love Indian Summer – I’m biased because of my history with them, but the food is exceptional. The service is second to none and the menu always changing. 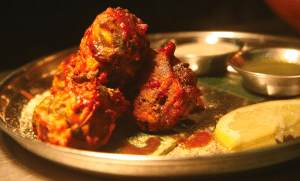 Which is your favourite food dish or genre of cuisine and why? Thai food is my favourite, with Indian making a close second place. But on a rainy cold wintery day you can’t beat a perfectly cooked roast leg of lamb with crispy roast spuds. What areas are of great importance to you when you visit a restaurant? SERVICE, SERVICE, SERVICE. A friendly and genuine welcome, perfectly set table with clean cutlery, a good selection on the menu without being too big. Clean toilets. Which is your favourite well-known chef and why? I love Nigel Slater, Rick Stein, Tom Kerridge, Jamie Oliver, Gennaro Contaldo; chefs that know about simple food cooked with love and presented beautifully.